Besides our good friends at Wembley & Brent Times and the Wembley Observer, we were in (deep breath)…. Not bad eh? 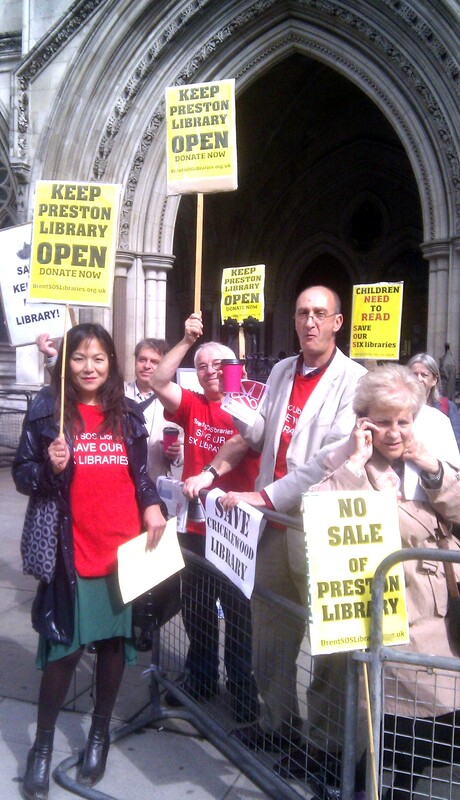 Everyone except Brent council seems to appreciate the importance of libraries. 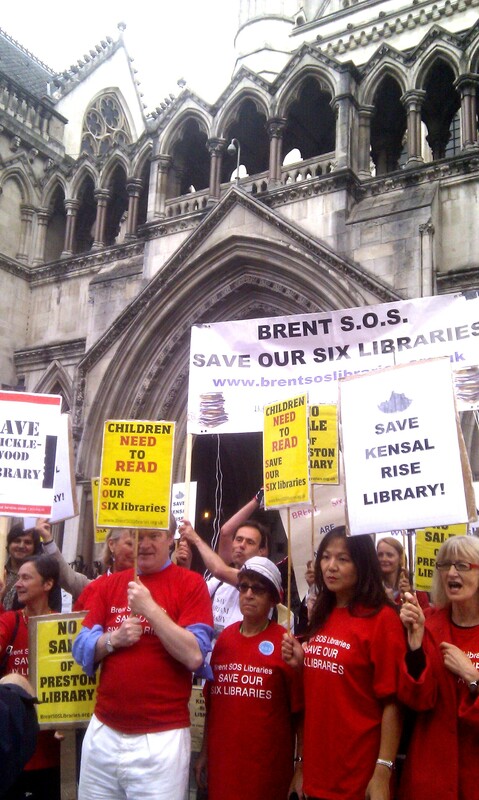 This case, challenging Brent’s interpretation of the law, could have serious repercuassions for local authorities everywhere – public cuts of this kind cannot be just voted through on a whim. It was an impressive and colourful turnout – the gallery was so full they had to open up the dusty upstairs bit. We hope those that didn’t make can come on Wednesday – it will be fun! Posted on July 20, 2011, in Legal Update, Photo. Bookmark the permalink. 3 Comments. It’s great to see so much publicity for Brent. BBC Radio Five LIve got in touch with me about the court case yesterday for thei 4-7pm Drive slot but I don’t know if anything got in air. BBC Radio Scotland interviewed me about the impact of the court case for their Book Cafe programme – http://www.bbc.co.uk/iplayer/console/b012llwh – from around 30 minutes in. I hope I got the main poiints in for you. 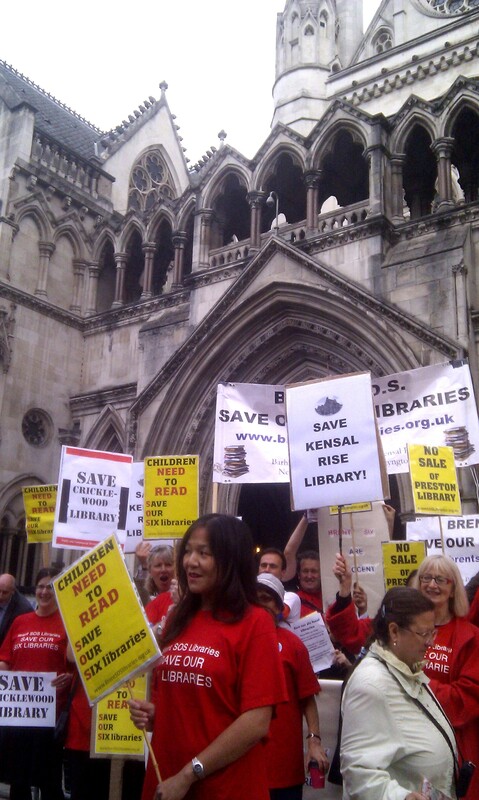 Pingback: Update from the High Court | Save Kensal Rise Library!